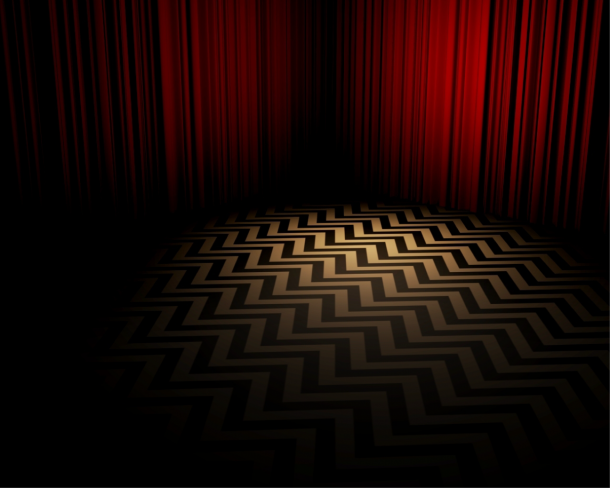 This article is part of The Twin Peaks Project: a series of investigations, reflections, and reminiscences by writers, artists, and musicians who were influenced by David Lynch’s seminal television show. To read more, or to learn about participation, visit www.twinpeaksproject.com. I don’t know who killed Laura Palmer. I don’t know who murdered her and then covered her with a clear plastic tarp and dumped her in the river. I could find out. That’d be easy enough. I could ask anyone. I could read the many extensive wiki pages and websites devoted to Laura’s killing. I could even watch the twenty-plus hours of Twin Peaks on Netflix and experience it all for myself. It would be easier than reading, say, War and Peace (which I also haven’t done), or waiting in line for the ascension to the top of the Empire State Building, or figuring out Twitter. When I lived in Colorado with an army of underemployed club kids I was the only one with a nine-to-five job, everyone else worked at restaurants or Starbucks or had a trust fund. Normally I would come home to a relatively quiet house, but every now and then the rest of the kids had a perfect alignment of scheduling and weather and spent the day together, drinking and grilling in the yard and smoking pot on the stoop. They lay around the living room exhausted and spent. There was a halfhearted cheer at my entrance, shish kebab waiting for me, margaritas they saved. They had missed me, they said, wished I’d been around, the day would be better if the whole house was there. And I ate their shish kebab and drank their margarita. And it was fun enough, but time ruins everything and my kebab and margarita did not have the same verve that their kebabs and margaritas did. The joy of it was hours ago, the kebabs and margaritas were just the vessels for the celebration. Eating them now, after the party was over, they tasted like what they were: leftovers. That is trying to watch Twin Peaks twenty years after I was supposed to. It is drinking a leftover watered down margarita after a party that I didn’t attend. I had every opportunity to join in the festivities back in 1990 and yet I refused. My fellow ninth-graders were all watching, my parents and sister as well, but I stubbornly stayed in my room and practiced origami and tried to turn my mom’s candles into medieval-style sealing wax because I thought it was going to make a comeback any day now. I don’t have a justifiable reason for this self-exclusion, except some half-baked thirteen-year-old blanket dismissal of everything that everyone else liked. At some point on I tried to jump into Twin Peaks, but by then the Lynchian treadmill was moving far too fast and we all know the horrors of trying to run on an already operating exercise machine. It was bewildering and I quickly abandoned hope. By way of substitute, I learned as much about the show from the only other source I could find: other television shows. This is everything I could figure out about Twin Peaks in 1990: There are birds and there are sawmills and then there is Kyle McClaughlin, leaving a recording for someone named Diane. He describes the minutia of his life, washing his hair, getting ready for bed, he is obsessed with towels and sheets; he wants Diane to know everything. He ate so many jelly doughnuts, he says. I think he misses her, this Diane. That is what rings the most clear as he stutters into the small cassette recorder. I think Kyle wants to tell her a truth so unfathomably complicated, but he doesn’t have the language for it, and is reduced to using the pointless things in his world around him to try and form a new alphabet so as to communicate with this mysterious Diane. Kevin Nealon then enters. He insists he knows who killed Laura Palmer, but Kyle’s not interested, he wants to go to a bar. He wants to put on Indian headdresses and get drunk. This is some sort of ritual. I think Kyle just wants friends. That is all he wants, he’s just looking for someone to hang out with, but Kevin’s not on board. Kyle tells Kevin a dream he had; mice and pitchforks, a diminutive damnation, and Kevin is having none of it. Chris Farley is not too far behind with the same message about who killed Laura Palmer; it was him; it was Chris Farley all along; and more than anything he wants to be done with it. There is a desperation to Farley, he wants to be anywhere at all in the world but right here at this moment. Phil Hartman enters and dances with his hands over his eyes and from there it is a parade, Victoria Jackson pulls a decorative bow out of her mouth and Jan Hooks brings on some drapes and then a log and finally a bow-legged Mike Meyers enters to subtitles and does a jig of sorts. We fade to applause and equipped with this, I felt that I had a solid enough handle on the goings-on of Twin Peaks to hold up my end of the conversation. I left it at that until 2011. At minute thirteen of the pilot of Twin Peaks, Leland Palmer is talking on the phone to his wife Sarah when the sheriff asks to speak with him, takes his hat off and Palmer looks up and needs no other words from the policeman to know what is going on. Sarah needs no words from Leland to figure it out for herself. Leland weeps quietly while through the phone the wail of his wife expresses the turmoil for each. At minute fifty-two of the pilot episode of AMC’s The Killing it happens again: Stan Larson arrives at the dredging of a car from a pond talking on his cell to his wife, Mitch about where their missing daughter is. The police have already arrived; detective Sarah Linden comes up to Larson and tells him he can’t be here. “Is that my daughter?” Larson asks and Linden replies only “I’m sorry. You can’t be here,” but those words are unnecessary, the father has all the information he needs and his silence is all his wife needs. And again it is the mother’s breakdown that carries the weight and power of the scene. Like Sarah Palmer, Mitch has to experience the grief alone and through only a phone line. It’s not that a mother’s love is that much greater than a father’s, rather that loss is that much more powerful when you’re not there to experience it. The mothers are crying for their killed daughters, but also for themselves, not being able to experience this anguish through anything but an electrical cable. I saw both of these scenes on the same day while visiting Chicago. Twin Peaks had just been released on Netflix, and The Killing had just debuted on AMC. My hosts and I watched the first five or six episodes and I was all poised to dive in and finally catch up with the rest of humanity. But, like with every entry in everyone’s Netflix queue, it has languished since returning from that trip. I’m not sure that I want to know who killed Laura Palmer. I’m not sure that I’m supposed to know. I’ve spent fifteen years circumnavigating the edges of this show which so many others consider to be formative for their existence. So where they are defined in part by the show, possibly I am defined by the absence of it. And I think I’m okay with that. I just hope that Dale Cooper get’s some friends. He’s lonely and clearly in love with this Diane person. B.C. Edwards’ work has appeared in Mathematics Magazine, Hobart, The New York Times, and others. His debut collection, The Aversive Clause, was long-listed for the Frank O’Connor Short Story Prize, a finalist for the Sherwood Anderson Fiction Prize and winner of the 2011 Hudson Prize. His debut collection of poetry, From The Standard Cyclopedia of Recipes, was released this July from Black Lawrence Press. He attended the graduate writing program at The New School in New York and lives in Brooklyn. Follow him on Twitter at @bagsandcarts.